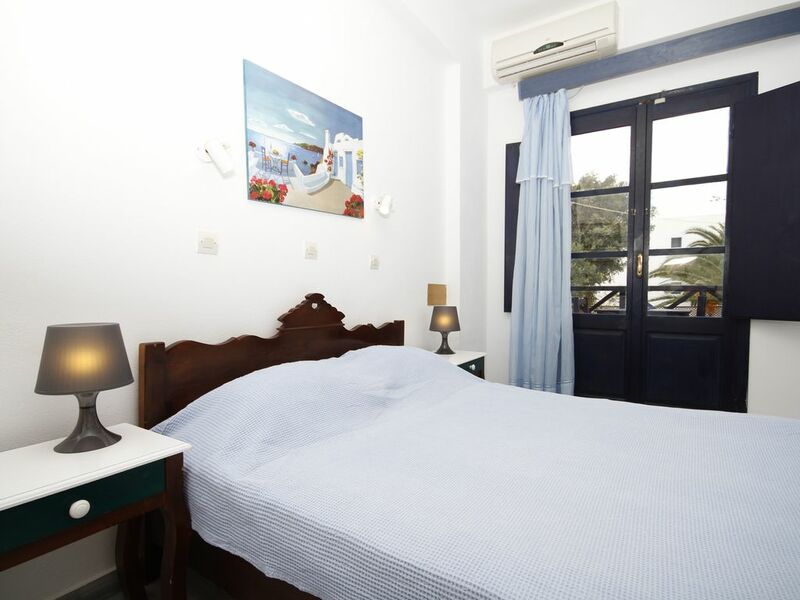 1 or 2 persons studios @ Anny studios Perissa are situated at the centre of Perissa, 30 meters from the beach (the location couldn't be better). Perissa is one of the most popular destinations of Santorini Island, is the longer beach famous for the infinite black sand and the dark blue waters, where you can enjoy various water sports, diving, snorkeling, a water park, horse riding, mountain hiking and ..?..?.. ?.., there is also many restaurants, cocktails bars, clubs and shops are all around Perissa Beach. Anny studios is a new building with studios for two, three, four, five &amp; six people. Our place has swimming pool, children pool, a snack bar next of the pool, satellite TV room ,Laundry machine to use for free, free internet corner, reception services, foreign exchange, transfers, car and motor rentals, book tours around the island and our unique volcano. ALL the studios have and is totally free bath, balcony, full kitchen equipment, satellite TV, fridge, safe box and all air-condition. The rooms are cleaned daily (free new towels every day and new sheets every second day) and there is hot water available 24 hours. At ANNY'S POOL BAR you can have at very special prices, drinks and cocktails or breakfast. You can enjoy the music, the sports events or MOVIES on a large screen. We want to promise that we do the best for an unforgettable time in our studio.